I am the queen of “let’s start a recipe and worry about ingredients later”. Are any of you like this? I just assume I have basic things like eggs and butter on hand. And normally I do, but sometimes things just seem to have evaporated into thin air. Suddenly I realize I don’t have vanilla, oh wait…or eggs….or even brown sugar. Here are some easy substitutes with other things you are sure to have on hand. 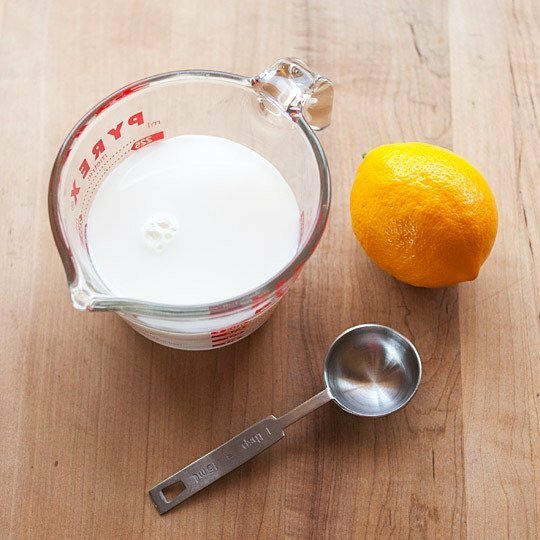 You can substitute regular milk + lemon juice or vinegar for buttermilk. Buttermilk is literally the one thing I purposely never have on hand. I have used the substitute enough and it works so perfectly that even if I know a recipe calls for a little bit of buttermilk, I don’t buy any because I know I will most likely not use the rest of it for anything. Combine the milk and lemon juice. Let stand 5-10 minutes at room temperature. When it’s ready the milk will be slightly thickened and you will see small curdled bits. ( This substitute will not become as thick as regular buttermilk.) Use this substitute (including curdled bits) as you would buttermilk in your recipe. The acid will curdle the milk a little bit, add tangy flavor, and activate baking soda the same way buttermilk would. If you run out of baking powder, mix baking soda with cream of tartar. You want 1 part baking soda to 2 parts cream of tartar. If you’re planning to store it, add one part cornstarch to keep the mixture dry. Finely grind regular sugar with cornstarch to make confectioner’s (powdered) sugar. Every once in a while you are bound to have run out of powdered sugar when you least expect it. Half of your ingredients are already all mixed together in a bowl just waiting for the star ingredient to pull through. Oops! Good thing you can whip some up real quick! You can do this in a blender or a coffee/spice grinder. 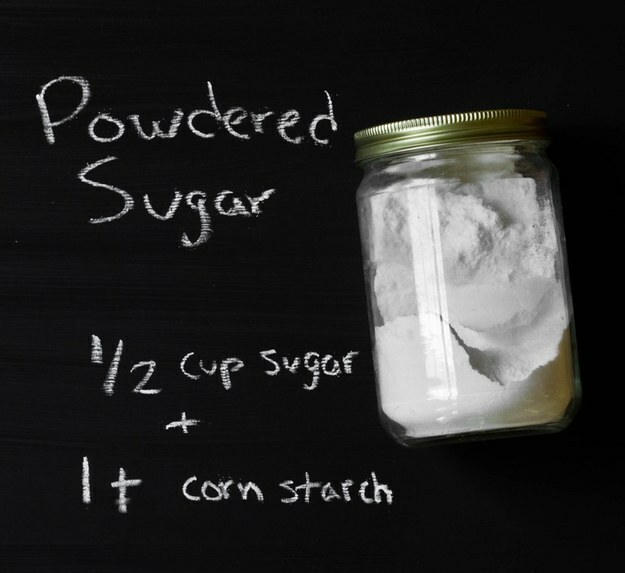 Cornstarch keeps the sugar from clumping and will make it work properly as a thickener in glazes or icing. For bonus points, sift the sugar through a fine-mesh strainer after grinding it to get rid of any big grains. A good blender can also turn popcorn kernels into cornmeal. 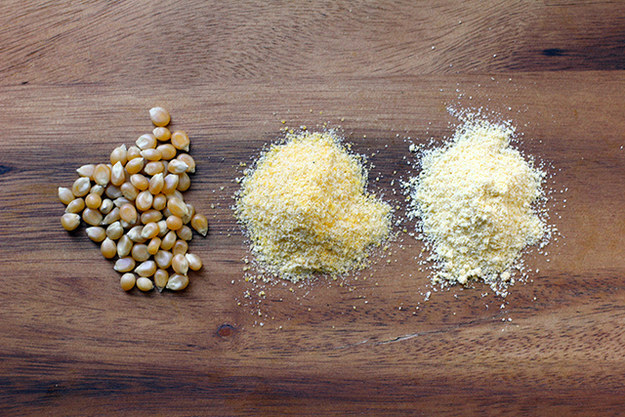 You can use a blender, coffee or spice grinder, or a grain mill to make your own cornmeal. One great thing about making your own anyway is that the cornmeal you buy in the store has been refined/degerminated. By removing the germ from the whole grain, the product will have a longer shelf life. However, that oil-rich and vitamin-packed germ is also where a lot of nutrition lives. Grinding your own meal means you can preserve the whole grain aspect with less worry about rancidity. Simply grind meal as you need it, or store small batches in your freezer for maximum preservation. Mix white sugar and molasses to make brown sugar. 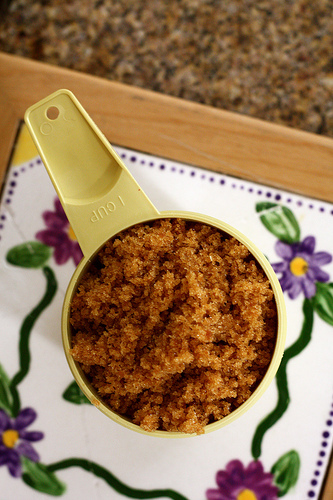 Mix 1 cup granulated sugar with 1 tablespoon unsulfured molasses. In a medium size bowl, mix together the sugar and molasses either with a mixer or with a fork. There will be molasses clumps so just keep mixing until all the clumps are gone and you will be left with the fluffiest, freshest brown sugar ever! Store in an airtight container or in a ziplock bag with the air pressed out. Ground flax or chia seeds mixed with water can replace eggs in baked goods. Using a spice grinder or mortar and pestle, grind the flax or chia seeds into a fine meal. Transfer the meal to small bowl. You can sift with small mesh strainer to be sure that no whole seeds remain, but this is just a personal preference. Mix in 3 tbsp of water. Cover and place in the refrigerator. Chia will need at least 15 minutes in the fridge, but an hour is better if you have the time. This gives your egg replacer plenty of time to thicken. Flax generally needs 1 full hour in the fridge. 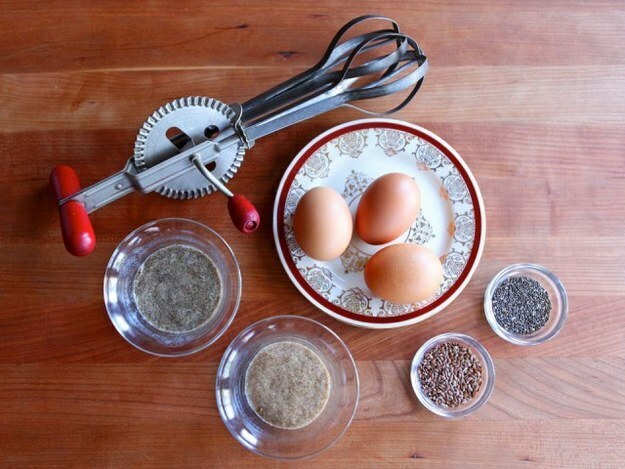 Once thickened, you will have the equivalent of one egg to substitute in your baked goods. Feel free to multiply the above recipe based on your needs. Other egg substitutes you can try are ½ banana or ¼ cup applesauce.